In today’s world, primary functions of your operation – such as sales, marketing, accounting, and shipping – all rely on technology and IT support to get the job done. But with ever-changing technology and increasing demand, how can you afford the IT expertise and computer help required? Now it’s possible to get the skilled technical support you need without hiring a full team of computer support professionals. Idaho IT’s technical support programs offer Boise companies the IT help they need exactly when they need it – and without the expense of having an IT department in-house. Our computer support plans provide a wide range of services to Boise businesses including: Help with PCs and networks; hardware configuration; software installation and training; virus and malware removal; data backup and retrieval; and much more. Building a technical support department requires more time, money, and resources than most Boise companies can justify. With our computer support plans, you’ll get better, more affordable service – and have access to a whole team of technical support experts just by picking up the phone. 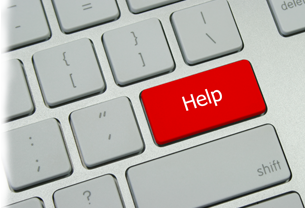 Contact us today to find out how you can get the computer help you need.